Transnet Port Terminals (TPT) recently launched its innovative SIE Service Instruction Entry (SIE) Automation system at Durban Ro-Ro Terminal. The SIE Automation Solution has been a four-year project developed in-house which TPT says is set to radically improve the speed at which the trading partners, TPT and its customers, will receive and exchange information into their systems, thereby greatly reducing end-to-end cycle times. Further advantages to launching the system is the cost-cutting benefit that is normally associated with the current paper-driven process (i.e. processing of import and export shipping documentation that is performed manually). The operational expenditure and storing, printing paper and cost of manual data capturing will be a thing of the past with the introduction of SIE. “The launch of TPT’s SIE Automation with the first Toyota vessel being GUANGZHOU HIGHWAY at our Durban Ro-Ro Terminal was truly momentous. 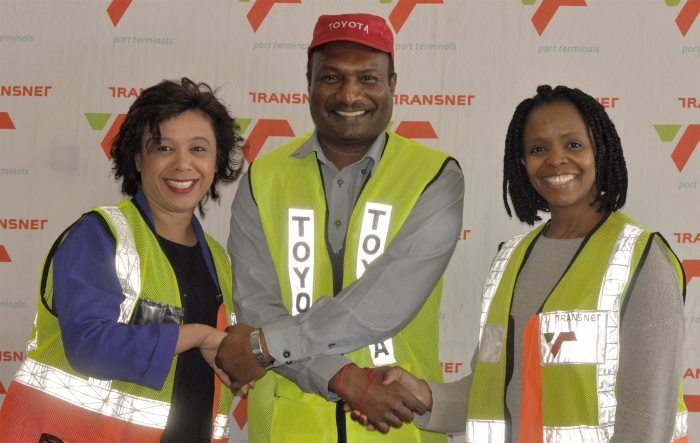 We did take precautions with this roll out by implementing a parallel run with the new automated process running concurrently with the current manual process,” said Amanda Siyengo, TPT General Manager: KZN Operations, Bulk, Break-Bulk & Cars. “The current manual order process needed to continue in parallel during the initial project roll out to validate the new process and ensure a smooth transition. With the launch of the new SIE automation process being deemed a success, we are looking forward to rolling out this exciting innovation specifically designed for all stakeholders,” she said. With the SIE system having been created internally by TPT, IT support and further developments are all locally based and easy to access. The primary output of the investment made by TPT into creating this system is to reduce processing time from the current 72 hours to less than 24 hours, as well as extending vehicle delivery times to the terminal through document optimization. 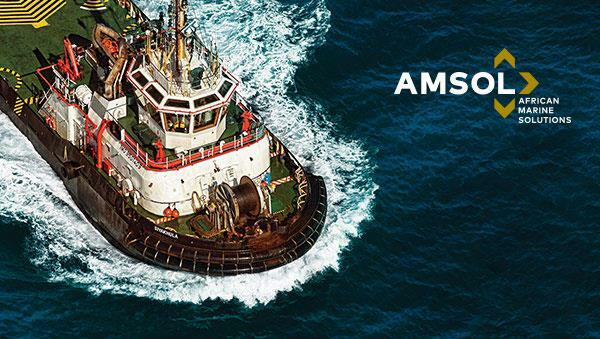 Ultimately the system will also create fluidity and capacity facilitation in the port and enable customers to continue production and shipping as close to vessel sailing times as possible, while also gaining two more production days for OEMs that will result in more revenue being realized and saved by stakeholders. “Tangible savings estimated for customers is the reduction of their paper based costs in compiling landing and shipping order submission decks by up to 75% as well as reducing the time and resources bringing the documentation to the finance counters,” pointed out Michelle Phillips, TPT General Manager: Commercial and National Planning. To facilitate SIE Automated processing from the shipping lines, an electronic submission of their current manifest is completed allowing verification of the EDI processing for the duration of the parallel run. 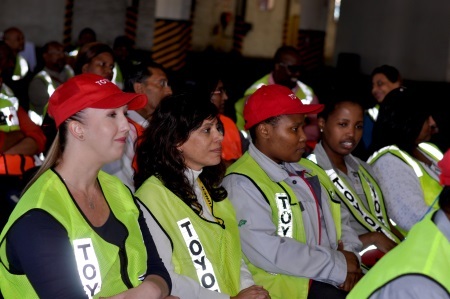 The parallel run process is due to continue until all shipping lines have successfully completed all operations involving Toyota units and the SIE automation system is rolled out to every Durban OEM. In mid next 2018 TPT anticipates to smoothly roll out SIE to East London Car Terminal and thereafter Port Elizabeth Car Terminal. Transnet Port Terminals has a proud history of innovation. Successfully implemented ideas bring real value to the business. Also developed internally at Transnet Port Terminals for tracking break bulk and the automotive operation, is the General Cargo Operation System (GCOS) which has won numerous awards and high praise in the industry. GCOS is a comprehensive system that facilitates the terminals’ administrative and operational processes and a new web-based version of the popular and comprehensive cargo operations system, GCOS3, was introduced in 2016 at TPT’s automotive and break bulk terminals. The benefits of GCOS3 are an improved, simpler user interface, greater efficiency, enhanced security, greater data integrity and better governance. 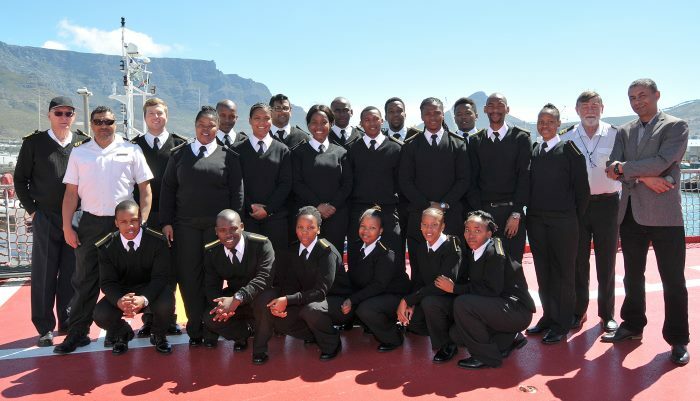 Carrying its special ‘cargo’ of 20 new cadet recruits, the SA Agulhas set sail on Friday to Mauritius and Antarctica. Bidding the cadets a safe send off was the South African Maritime Safety Authority’s Ian Calvert, head of Maritime Special Projects, under which the SA Agulhas, a dedicated training vessel, is located. 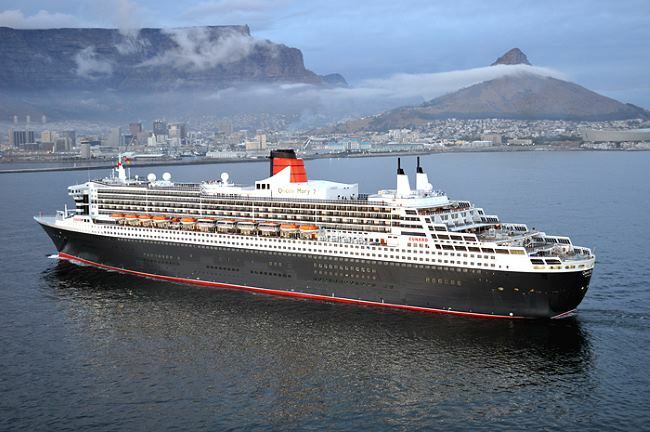 KwaZulu-Natal MEC for Economic Development, Tourism and Environmental Affairs, Sihle Zikalala, says the Terminal Operators Conference (TOC) — set to take place in December — will pave the way for investment into the oceans economy. 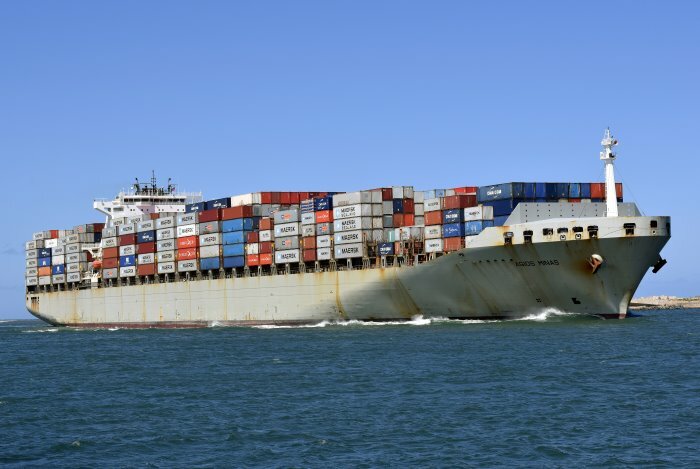 “The conference augurs well for the province’s growth aspirations of using its two world-class deep water ports of Durban and Richards Bay to bolster its oceans economy,” said the MEC. 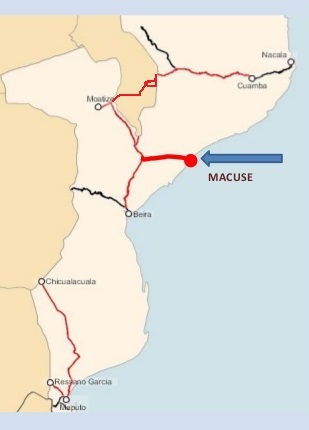 The Mozambican government and Thai Mozambique Logistics have signed an addendum to the concession contract for the port and the railroad of Macuse, to be built in the centre of the country, in which the Portuguese company Mota-Engil is participating, an official source reported on Friday (24 November). 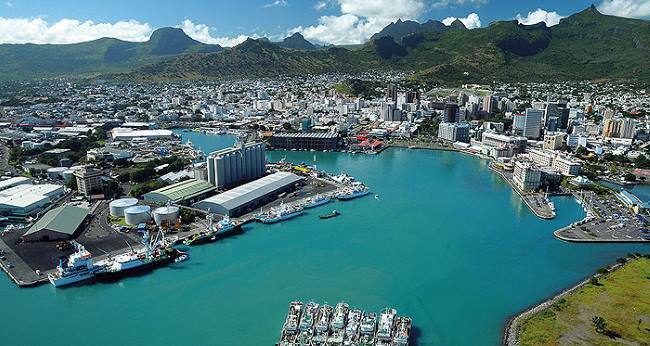 The signing took place on the site of the future deep water port of Macuse, which will be built 35 kilometres north of Quelimane, the capital of the central province of Zambézia. The Moatize-Macuse railroad, with an initial planned length of 500 kilometres, is designed to carry coal and other minerals from mines in the interior province of Tete. In August, the concessionaire announced an extension of 120 kilometres, proposed by mining companies and banks that are financing the project, to extend the line from Moatize to the Chitima region as well. 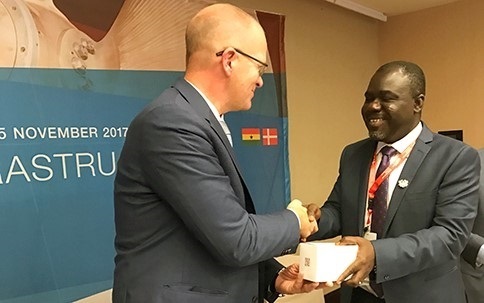 Representatives from the Danish Maritime Authority (DMA) accompanied HM the Queen of Denmark on her official state visit to Ghana on 23-24 November during which were discussed current maritime challenges and maritime authority-to-authority cooperation. 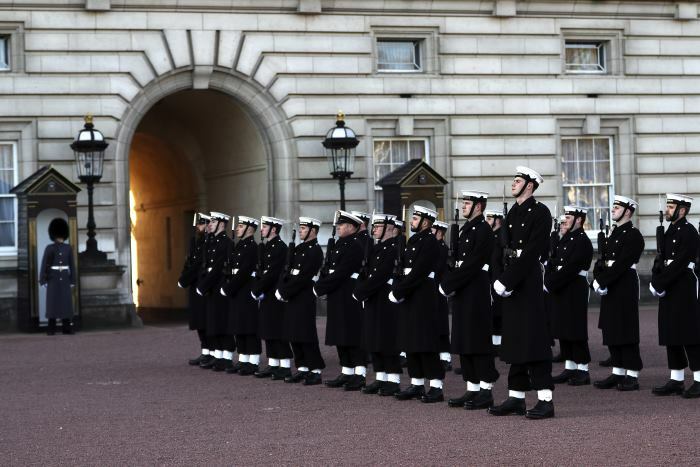 In week ending 25 November Royal Navy sailors were declared ready for the task of performing ceremonial royal duties in London for the first time and they mounted guard on the weekend 25 / 26 November. Duties will continue until 8 December. 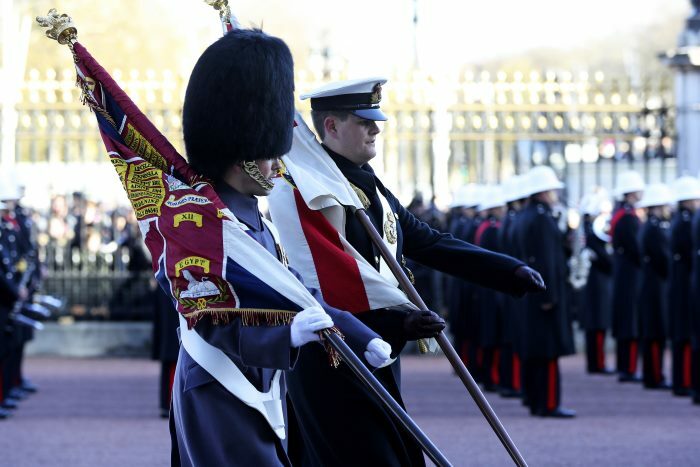 Each period of guard duty lasts two days and ceremonial duties are accompanied by a Royal Marines Band. 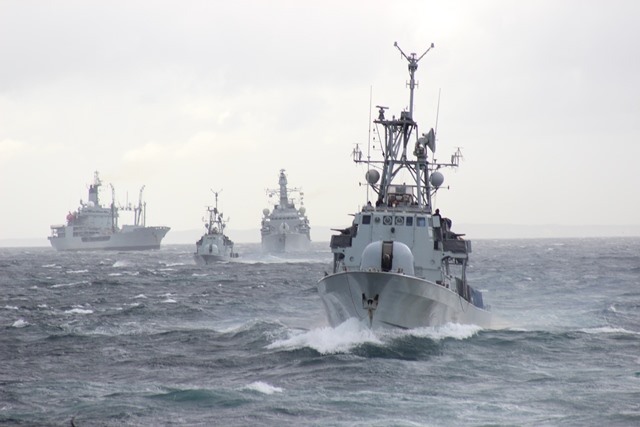 In all 86 sailors from 45 Royal Navy ships and shore establishments learned the intricate routines and drill movements needed for royal duties at Buckingham Palace, St James’s Palace, Windsor Castle and the Tower of London. The National Sea Rescue Institute (NSRI) of South Africa provides a valuable service involving sea rescue along South Africa’s long coastline, on an entirely voluntary basis. At 08h00, Wednesday 22 November, NSRI Port Elizabeth duty crew, accompanied by two Eastern Cape (EC) Government Health EMS rescue paramedics, prepared to launch the sea rescue craft Spirit of Toft to respond to rendezvous with the super oil tanker Caribbean Glory, in Algoa Bay, following a request for medical assistance for a crewman reportedly suffering hypertension. We were then released from the call after the ship’s medical crew confirmed that the crewman’s blood pressure had returned to normal following medication. 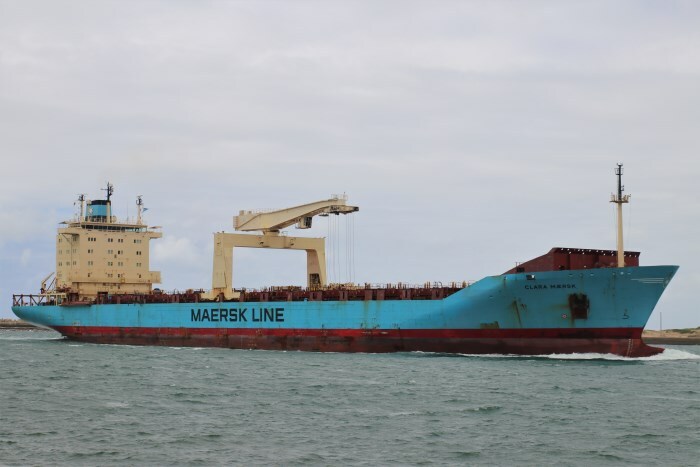 Transnet National Ports Authority (TNPA) then diverted us to rendezvous with the fishing trawler Ubuntu following a request for medical assistance reporting a 50 year old Cape Town crew member suffering breathing difficulties onboard six nautical miles off-shore of Cape Recife. We launched our sea rescue craft Spirit of Toft at 08h24 and on arrival on the scene, in unfavourable sea conditions with a 5 metre swell, we found difficulties to raft alongside the fishing trawler. The super oil tanker Caribbean Glory was nearby at the time and we requested its assistance to come alongside the rescue operation and use their superstructure to create a Lee. Caribbean Glory was happy to assist and with the Lee created by the superstructure of the super tanker we were easily able to carry out the patient evacuation off the fishing trawler and rescue paramedics treated the patient who was brought aboard Spirit of Toft to our sea rescue base and the fisherman has been transported to hospital in a stable condition by EMS ambulance. Caribbean Glory was thanked for their assistance. At 15h42, Friday, 24 November, NSRI Richards Bay duty crew was activated following an alert from the crew of a commercial fishing ski-boat Rockerfella reporting that they had happened upon the ski-boat Ditto, found to be underway with one motor running on the water, about 8 nautical miles off-shore of Richards Bay, with no one onboard. The crew of the Rockerfella had managed to raft their boat alongside the casualty boat (which was unmanned, underway and heading out to sea) and a crewman from Rockerfella was able to board the casualty boat and cut the motor bringing the casualty unmanned boat to a stand-still. They raised the alarm alerting NSRI and on investigation it was confirmed that the casualty boat, Ditto, was known to have launched from Richards Bay earlier that day at 07h00 and was due back at 18h00. With no sign of the two crew who were known to have been onboard, a full scale search and rescue operation was launched for the two men, 26 year old Jaco Snyman and 49 year old skipper Trevor O’Neill, both local men, and with no idea as to why their boat was underway and unmanned. Telkom Maritime Radio Services broadcast an all ships alert and Rockerfella had already started a search. 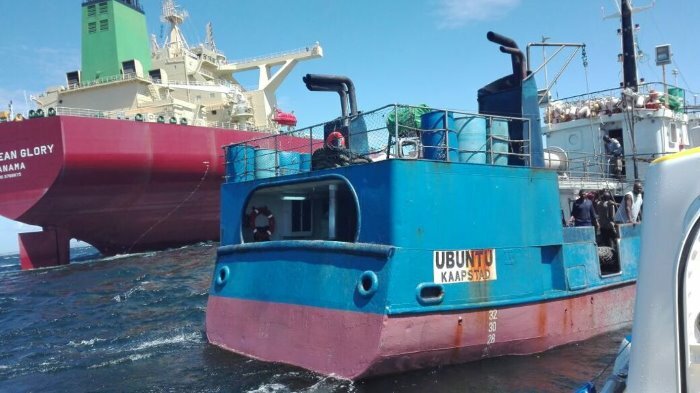 All vessels that were in the area at the time joined in the search and two NSRI Richards Bay sea rescue craft, Spirit of Richards Bay and Spirit of Round Table II, arrived on the scene to also search. We treated this as a man overboard although not knowing the fate of the two men and still with no explanation as to why their boat was found with a motor running and underway, a search was initiated. At around 16h30 we received word from members of the public reporting to have seen two men walking along the beach between 5 Miles Beach and 7 Miles Beach and it was then confirmed that both the skipper and his crewman had come across members of RBM (Richards Bay Minerals) on the beach at 5 Miles Beach. At around 17h00 Trevor called NSRI from the RBM offices reporting that he and Jaco were safe and they had arranged a lift with RBM staff to get back to Richards Bay. They reported that they had both fallen overboard after their boat hit a wave. Jaco had fallen backwards and grabbed a hold of Trevor but in the momentum of the stumble and fall both men fell over the side of the boat. Initially the boat was going around in wide circles but remained out of reach of the two men. With the boat out of their reach they were left facing the task of trying to swim ashore but without life-jackets. It is estimated that they were about 2.2 nautical miles off-shore (4 km) (and 20 km North of Richards Bay – off-shore of the Groenkop mast tower). It is estimated that they fell overboard at around 13h00 and they swam for about two hours before reaching the shore at about 15h00. Being in a remote area they had walked along the beach until they came across the RBM staff who were able to help them. During the swim Jaco had developed cramp and exhaustion and Trevor got Jaco to keep his lungs fill with air, for floatation, while he dragged Jaco towards the shore. Once ashore, in the vicinity of Hlabane, they rested and then started walking towards RBM knowing that eventually they would across someone to assist them. When the boat was found by Rockerfella the boat was heading in a straight line and it is believed that with one motor not running from fuel starvation the drag of that motor caused the boat to head in one direction instead going around in circles. Both men are safe home and their boat was brought back to Richards Bay with the commercial ski-boat crewman at the helm and escorted back to port by the NSRI. Both men were checked on during the night by NSRI as a precaution against secondary drowning but were reported to be fine and requiring no further assistance. 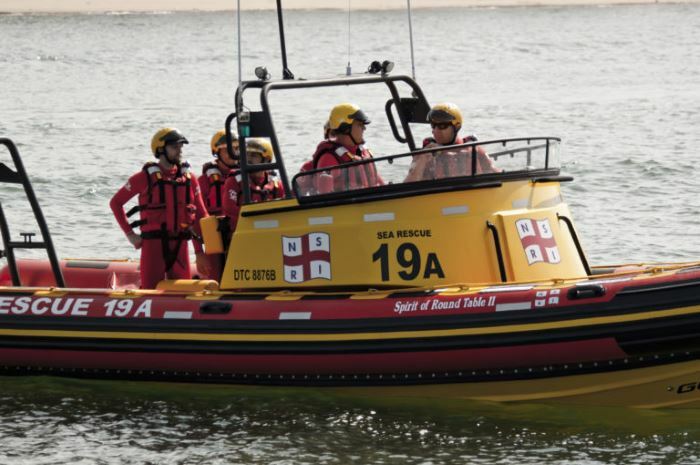 The NSRI commended the commercial ski-boat Rockerfella that came across Ditto and all of the other craft and vessels that joined in the search.